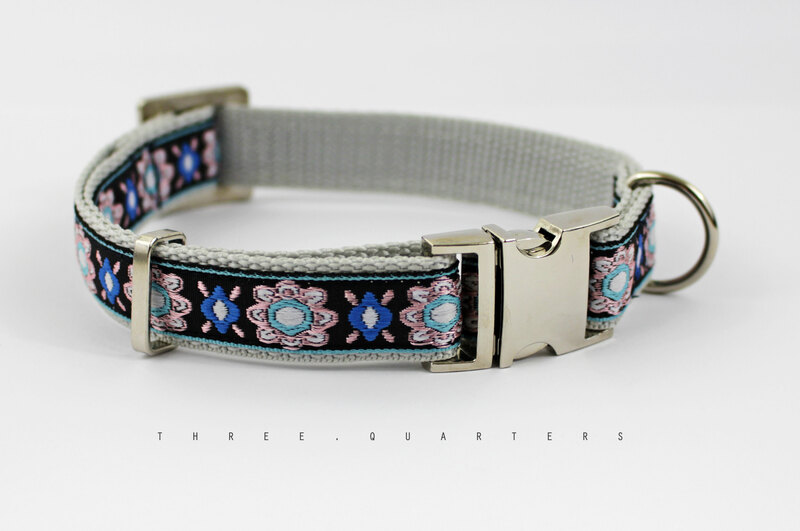 Collar with pattern in black, blue and pink. Webbing in light gray. Buckles and metal parts in silver. The collar has a width of 20mm. The suitable leash has a length of 2 meters.